LSG Sky Chefs Calendar 2015: Here’s what you missed! It is hard to believe that in a couple of weeks we will already be in 2016! 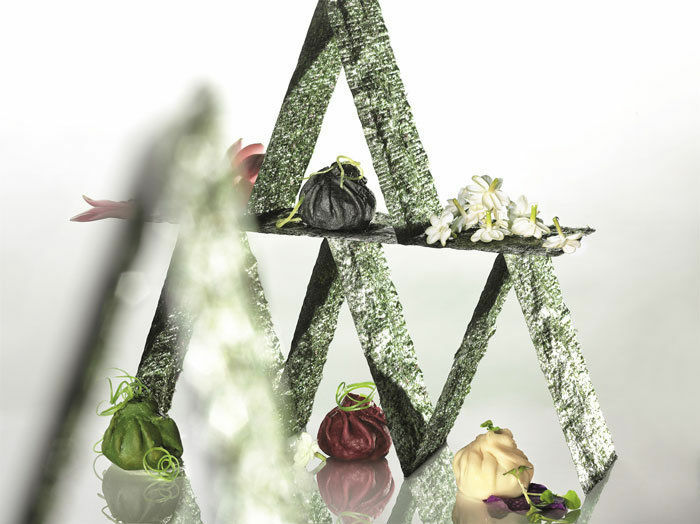 At LSG Sky Chefs, we are preparing to ring in the New Year with the release of our 2016 LSG Sky Chefs Calendar. Like the one in 2015, our new calendar offers a variety of beautiful images that let you experience a taste of the diverse world of food. Before we celebrate the New Year, and the new LSG Sky Chefs calendar, I would like to review the beautiful calendar photos of 2015. 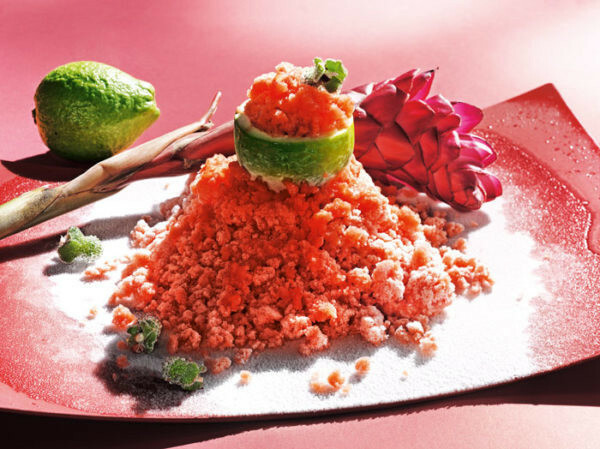 The year 2015 started off with the refreshing desert Guava Nieve with a BlinQ Blossom®. 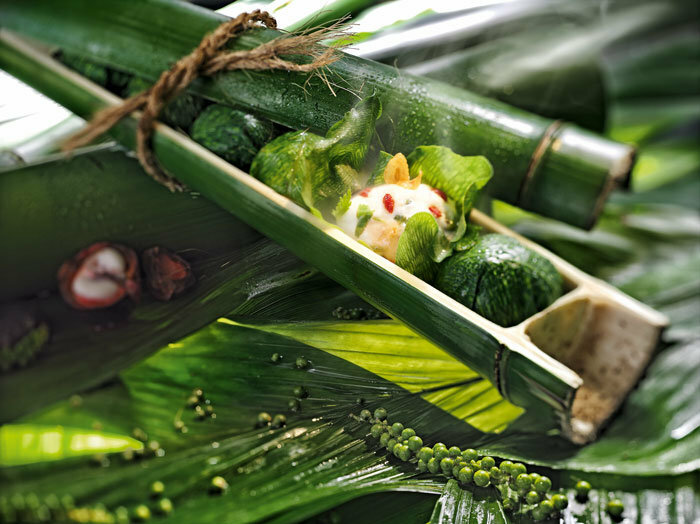 February presented some exotic flavors: Tapioca balls cooked in bamboo and Tazuko leaves with mangosteen, Goji berries, green pepper and garlic chips. 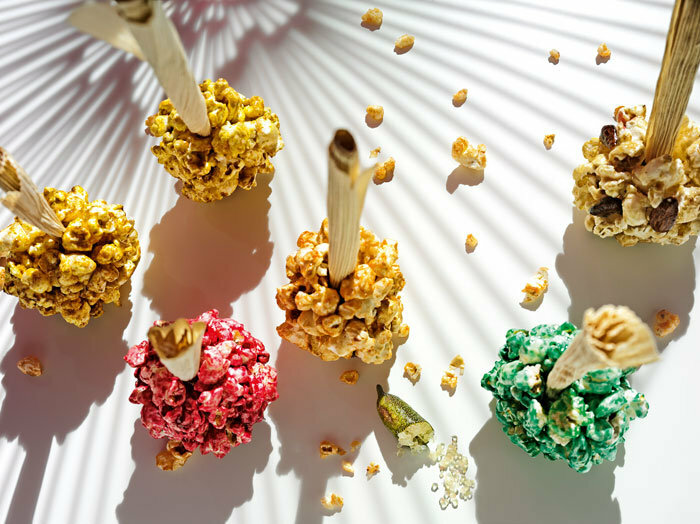 As March ushered in the whimsy of spring, the calendar celebrated with colorful popcorn lollipops with finger limes. 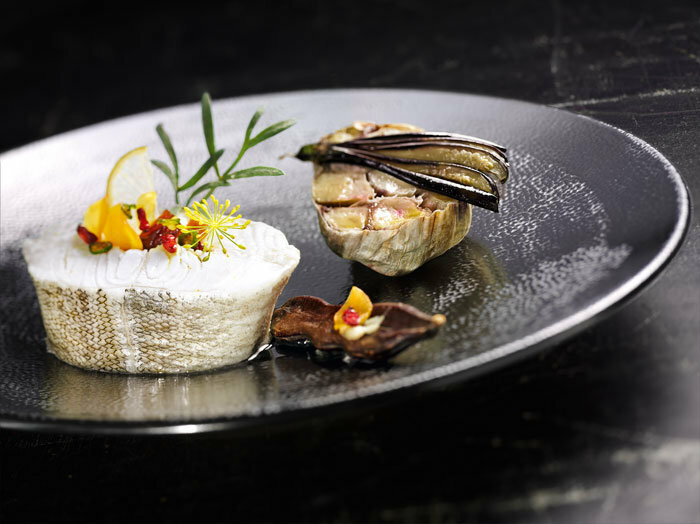 In April, the calendar reinterpreted cod by combining it with a ragout of dates, ginger and barberry, lime chip, sea fennel, fennel blossom, tamarind, garlic and eggplant. 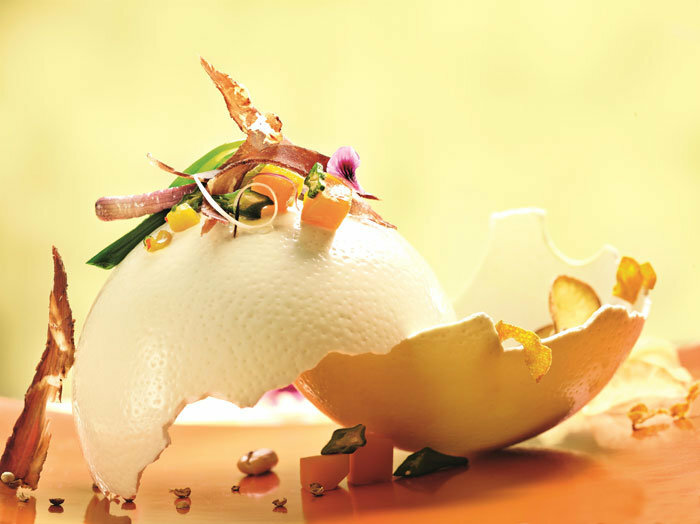 Biltong with pickled butternut pumpkin and okra, red spring onions, scented geranium blossoms, peanuts, pineapple chili chutney, cassava chips and yam root exemplified the merry month of May. 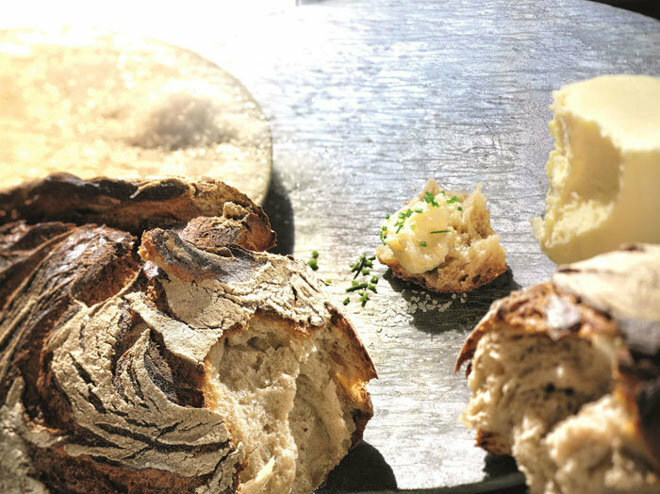 July pictured crusty bread with churned butter, salt and chives, proving that sometimes the simplest things in life satisfy us the most. 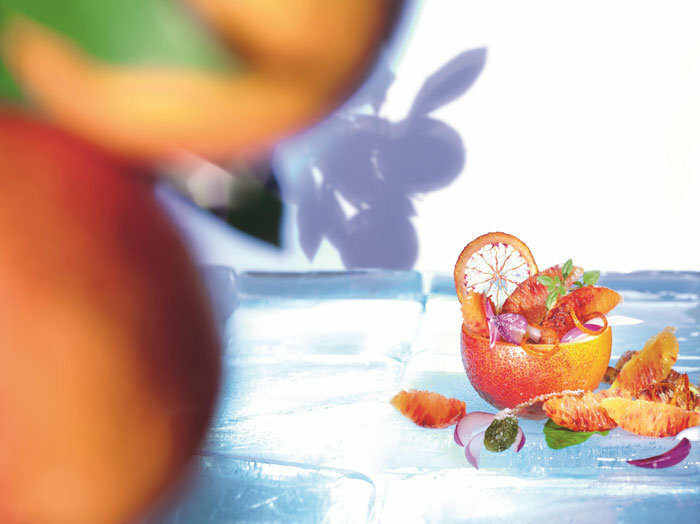 On a warm summer´s evening in August, nothing could have been more refreshing than a blood orange salad and chips with red onions on Makrut lime leaves with sugared rose petals and capers. 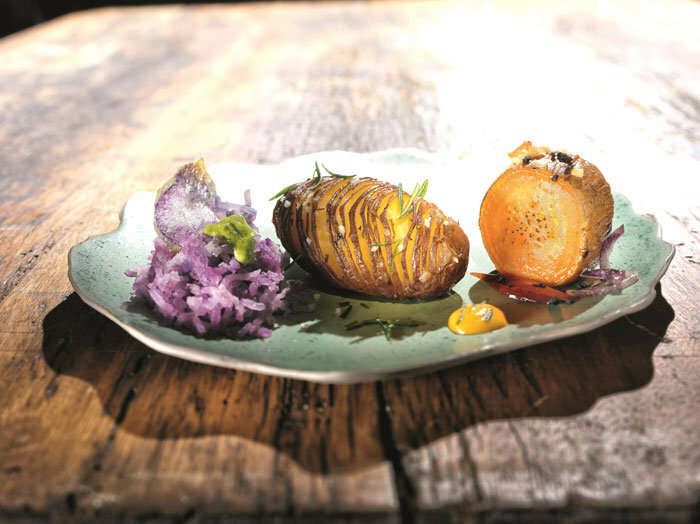 We waved goodbye to summer in September with a combination of violet potato snow and chip with Peruvian green chili sauce, red potato peel compartments with sea salt, rosemary and salsa á la Huancayo-style potatoes, a slice of sweet potato with roasted onions, peanuts, black salt and chili salsa. 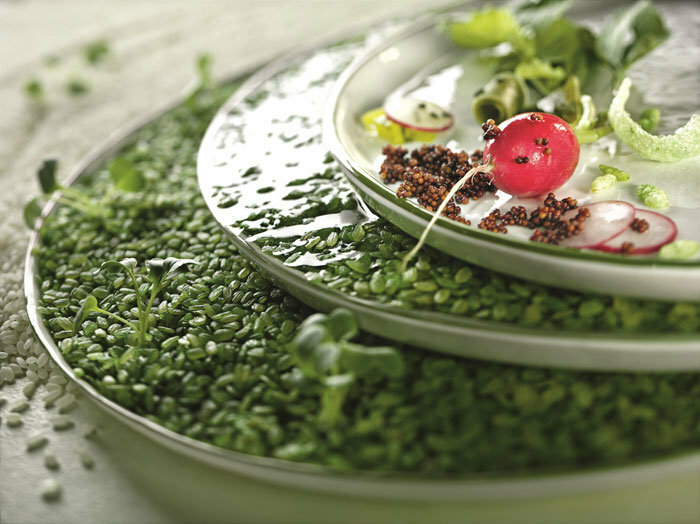 In October, fresh Radishes and pickled charlock with mustard seed, popped green rice, Wasabi pawn crackers, Daikon cress and black sesame added a rare green splash of color to Indian summer. 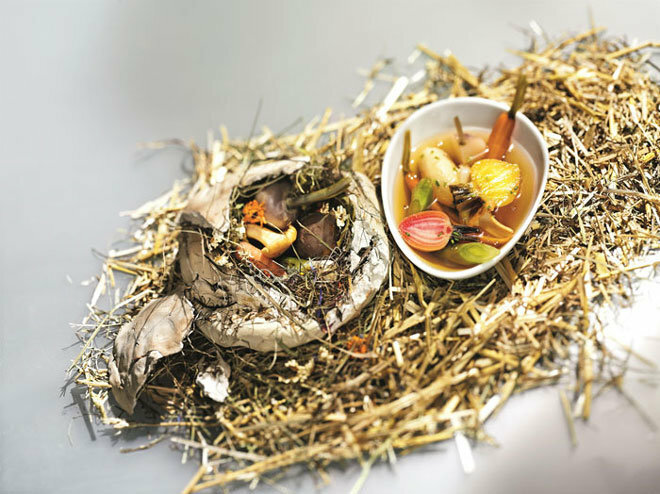 The dish in November, which consists of vegetables baked on a coating of clay and straw, hay consommé with mini-parsnips, carrots, turnips, red and yellow beetroot, leek, chanterelles and semolina dumplings drew inspiration from the Thanksgiving celebrations which will be celebrated at the end of the month. 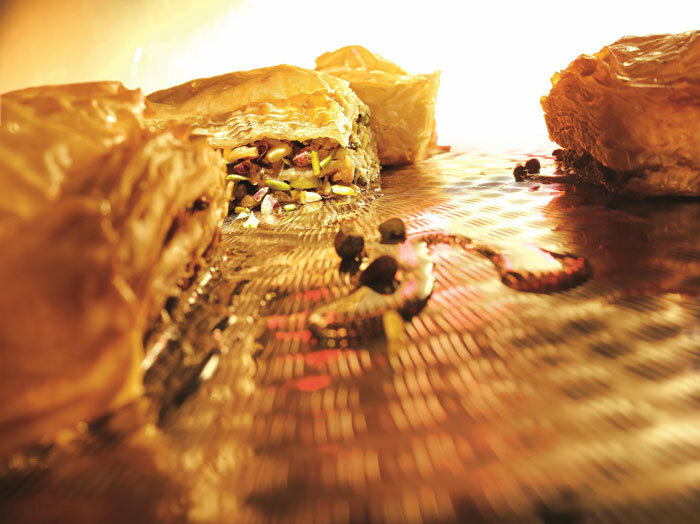 The calendar photo of December will set the mood for a cozy winter evening at home with a Baklava of almonds, walnuts, pistachios and rose water. I personally find the production of the calendar pictures thrilling because so many people are involved in the process and the outcome is always stunning. Here’s a behind-the-scenes look at how our calendars are produced!